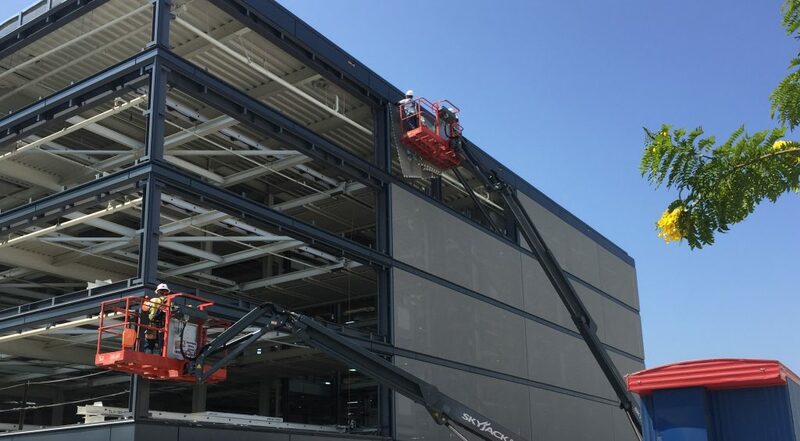 As more architects and designers are discovering, architectural shading solutions (such as tensile membrane facades, tension fabric structures, and retractable shades) provide the opportunity to create a more energy efficient structure while opening a world of exciting design opportunities. Now, many are asking whether these high-tech options are the future of our country’s energy efficiency focus. Approximately 40% of all carbon added to the atmosphere is directly related to the construction and operation of buildings, roads, and other infrastructure. This has, no doubt, supported to the growing sense of urgency to find energy efficient options to address our building needs. This includes the incorporation of smarter design elements such as architectural shading solutions to reduce cooling needs and water management tools to support conservation initiatives. Most would agree that Europe has been ahead of the curve when it came to environmentally friendly designs – although there’s disagreement on whether this is a result of their more expensive electricity costs, lack of standardization with air conditioning systems, or more flexible building codes. However, the U.S. is quickly catching up. Everyone has felt it – a non-air-conditioned building getting progressively warmer as the day heats up outside. This heating due to the sun’s radiation is called solar heat gain, and our country has generally battled against the effect by installing systems that pump cool air through the vents. However, just as stepping under the shade of a tree on a sunny day can make it feel 10-15oF cooler, shading a building can have the same effect without using any operational energy at all. 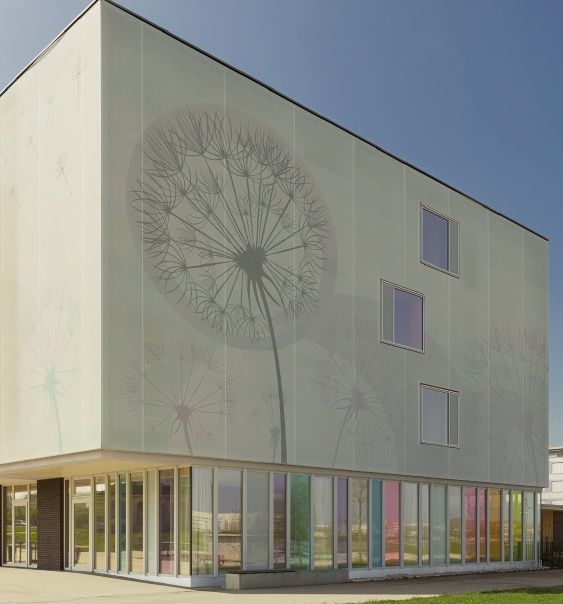 Tensile membrane building facades have emerged as one of the most innovative, versatile, and cost-effective options for architectural shading solutions. As more architects rely on these advanced tensile facades for reduced energy consumption and help with LEED certification, these benefits will become the new norm. Are you equipped to stay ahead of the curve with your designs? 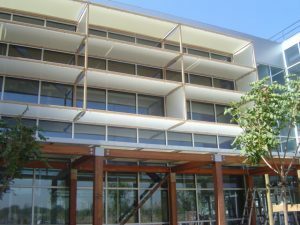 Which Architectural Shading Solutions Are Right for Your Project?